I travelled to Nepal in December 2016 with my husband and good friend to do some trekking in the Annapurna region. 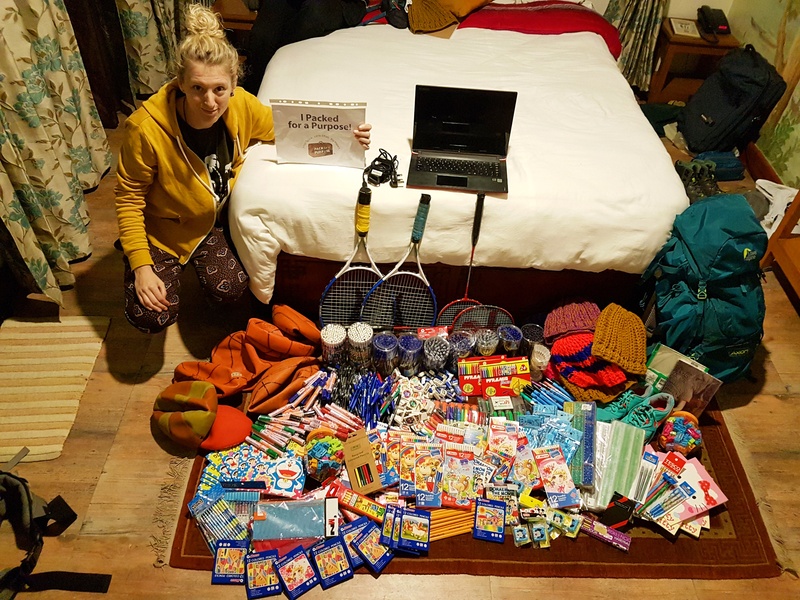 We really wanted to spend some time volunteering in Kathmandu but unfortunately, we were too strapped for time… So, I was very happy to come across Pack for a Purpose, a great and simple charity project for every traveller! I decided to choose the Gramin Devi School to donate some much-needed school donations, following the earthquake in 2015. As a teacher, it was easy for me to promote the cause at work and gather donations, as well as buying some cheap, locally sourced materials in Bangkok. I was also lucky to receive a laptop and extra sporting equipment in donations. I made sure that we only asked for donations from the supplies listed on the charity website, any extras I made queries about before adding them to my backpack. The Pack for a Purpose founder, Rebecca Rothney, and our point of contact in Nepal, Shreehari, were both very efficient and helpful with any of our questions. They made the whole experience very easy! Travelling with the supplies was very straightforward. As with most trekking adventures to Nepal, it is easier to rent the gear when in Kathmandu, so we had plenty of space in our backpacks to make room for the donations. We managed to fill up two backpacks and a holdall suitcase, with no worries or extra costs at the airport. The team collected the donations from our hotel and made the trip to the school once they had gathered more donations from other travellers. 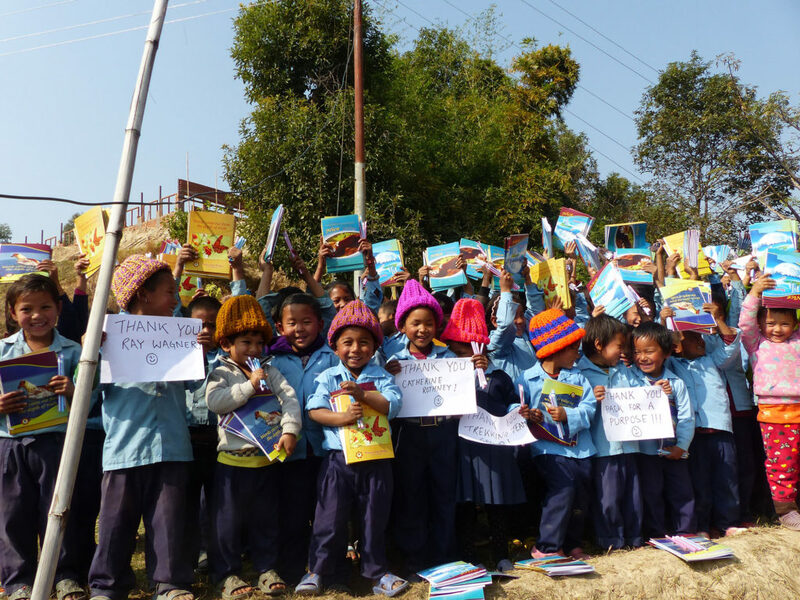 It was amazing to receive some lovely photos from them, like the one below! I really wished we’d had time to visit the school. Being three hours from Kathmandu, we were even kindly offered a free ride! On our next adventure, we would love to work with Pack for a Purpose again and hopefully get a chance to visit or volunteer at one of the fantastic projects they support. I would highly recommend this charity project to anyone who can give some space in their suitcase, big or small!